Salisbury Train Station is half a mile walk away (West). Salisbury also has an Odeon which is (pretty much) in the Old George Shopping Mall - and there is a bowling alley/laser quest about half a mile east of the town centre/Nando's. Salisbury Cathedral (home to the Magna Carta) is in the town centre. There are several areas of street parking (Milford Street, Catherine Street, Brown Street) which charge £0.20/15mins, £0.60/30mins, £1.60/1hr for a max of a 1-hour stay. The larger town centre car parks (which are normally very busy) such as Culver Street, Brown (West) Street and the Old George Shopping Mall all charging £1.40/1hr, £2.50/2hrs, £4.20/3hrs and then upwards from there, with their own opening/closing and max-stay times. 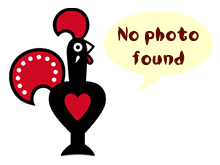 We went to Salisbury Nandos as a "date day" as we were child free! We have both lived in Salisbury in the past so the disabled parking was easy to find just a short walk away. I'm happy to say I didn't get lost whilst walking to this branch, very easy to get to from Salisbury Station and easy to locate. It's just off the back of the high street taking up a huge corner. Good to see the branch was open despite a lot of closed down stores opposite and on the general road in the town. Went to Salisbury Nando's at the weekend, the chips were undercooked, far too much chip salt on them so couldn't eat them, and only 1 bottle of sauce I only liked, I asked if they had any but it was on another table, I didn't want to bother the people eating and I Asked a member of staff if they had anymore or if they could get it for me..
Have asked for a better welcome the staff were fabulous, very attentive! I'm glad we did as the lady upstairs was an absolute credit to the company! Everything is great here in Salisbury ! Doing a grand job ! Having been in Salisbury on the original two scheduled opening dates, I shed a little tear when Nando's pushed the date back twice... but, I was in Salisbury again so finally got to sample the newest Nando's! Salisbury town centre is always busy whenever you go as it a big stop for tourists who are at Stonehenge or want to come to see the Magna Carta (at Salisbury Cathedral), or just visit an "Historic Market Town". It does mean that car parks right in the town centre are busy. I cant wait to visit again. Thank you all at Salisbury keep up the good work!! This store on the corner of Milford street and Queen street has a southern corner aspect on the edge of a pedestrianised area in the heart of historic Salisbury. I parked on Milford street which is free after 6pm Mon to Sat and after 4pm on Sun. I wouldn't recommend her at other times as not only is it a max 1 hour stay but costs £1.60 for that hour. great nandos just opened so was very excited to check it out after a very stressful drive with the a30 being shut and it did not disappoint, overall extremly tasty found the garlic bread to be a little dry and chewy but the chicken was great and this nando's definitly does the best chips cooked for longer so much darker in colour and crunchy just the was i like them. staff were very friendly and polite however they did not check on me during my meal like the usually do?